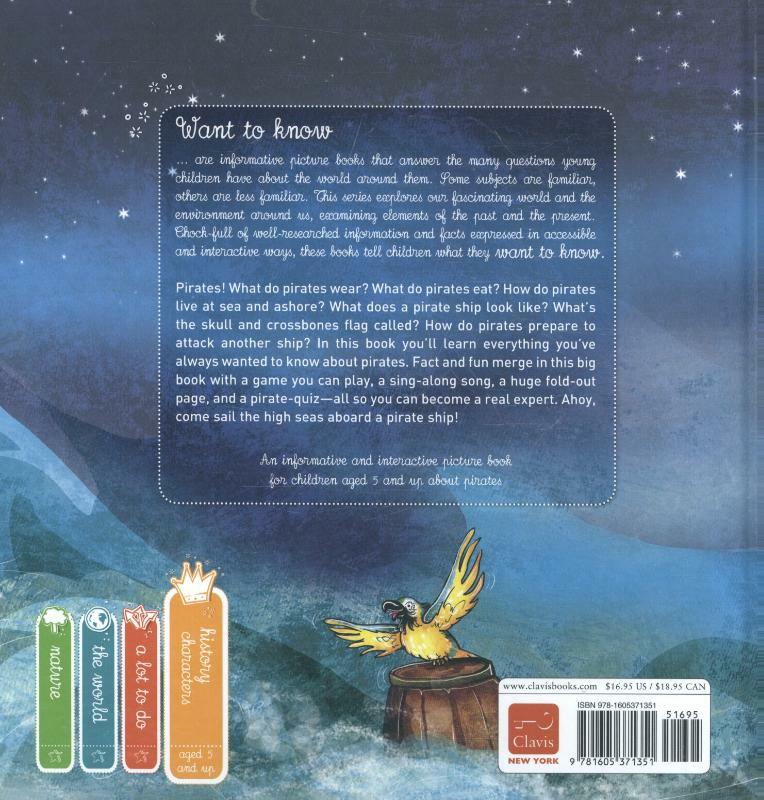 Bestel Want to know pirates voordelig bij de grootste kinderboekwinkel van Nederland. Levertijd 1 dag. Chock-full of facts expressed in accessible and interactive ways, this series of informative picture books answers many of the questions young children have about the world around them. By digging in to this entertaining and informative book, young readers can unearth a treasure trove of information about pirates. It explains what pirates wear and eat, how they live at sea and ashore, what a pirate ship looks like, how they prepare to attack another ship, and much more. 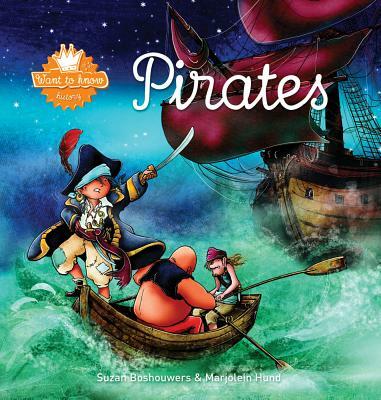 Including a game, a sing-along song, a huge foldout page, and a pirate quiz, this beautifully illustrated book combines facts and fun to turn land-dwelling children into pirate authorities.